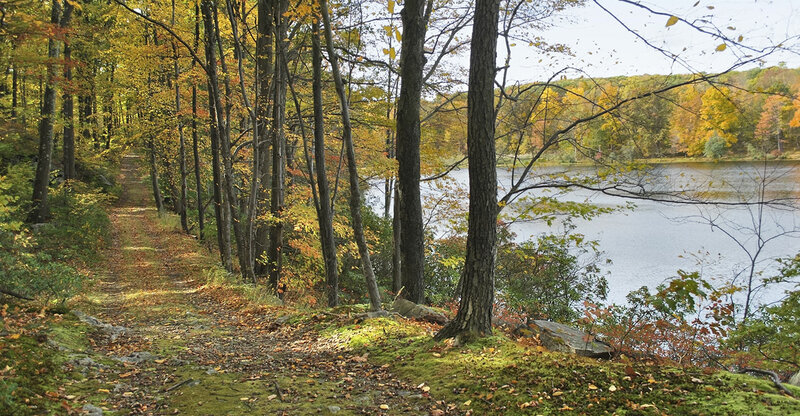 Just to the North of Saratoga lies a vast nature playground. The Adirondack Park, or the “’dacks” as the locals refer to it, is the largest state park in the United States. It is an astounding six million acres, a combination of private and public lands, and contains some of the best wilderness remaining on the East coast. When the Adirondack Park was created in 1894, the legislation that created it included the line, “The lands of the state, now owned or hereafter acquired, constituting the forest preserve as now fixed by law, shall be forever kept as wild forest lands”, earning the region the now timeless moniker “Forever Wild”. The Adirondacks were designed to be a model for humans coexisting side-by-side with wilderness, balancing the ambitions of private enterprise with the responsibility to protect our natural heritage. On the east side of Lake George, far less developed than the western shore, is Sleeping Beauty Mountain. It is a moderate hike of about 7 miles and one of the best hikes in the southern Adirondacks, an old classic. Sleeping Beauty is located just outside the town of Lake George, technically in the town of Fort Ann. The trailhead is reached by driving down a very long dirt road called Buttermilk Falls Road until it dead-ends at a trailhead hub parking lot known as “Hogtown”. The beginning of the hike follows an old, no longer maintained dirt road to “Dacy’s Clearing”. The road-walking is 1.7 miles each way, constituting nearly half the total mileage for the hike. 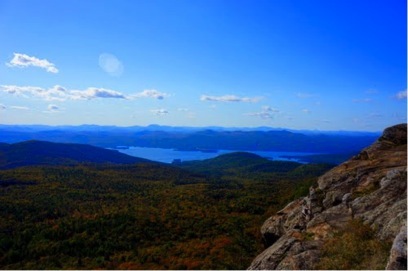 From here, you begin a gradual ascent to the rocky summit with 360 degree panoramic views, from Lake George to the Green Mountains of Vermont. The summit affords a bird-eye view of the expansive greenery of the Lake George Wild Forest. I often hear the piercing screeches of hawks and peregrine falcons that nest in the cliffs here. Returning from Sleeping Beauty via a “loop trail” brings you past two beautiful ponds, Fishcreek and Bumps. 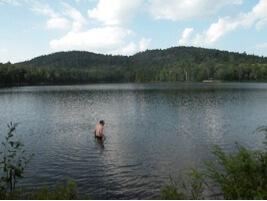 Fishcreek Pond has two lean-tos, essentially a three-walled cabin for backcountry camping in relative comfort, and provides an opportunity to cool off in what may seem like your own private lake. The return trip takes you past secluded Bumps Pond and then back the same way you came. Be conscientious about where you walk: there are a few places around Lake George that harbor small populations of Timber Rattlesnakes, and this is one of them. 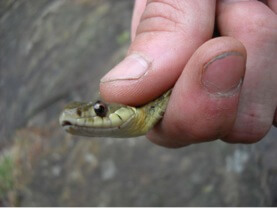 Thankfully this little guy is just a harmless Garter Snake. Happy trails! take Northway (I-87) North to Exit 20. Turn left on Route 9, then right on Route 149 East. After 6 miles, turn left on Buttermilk Falls Road, which becomes Sly Pond Road and then Shelving Rock Road. Park in the main DEC hikers lot on the right (9.5 miles from Route 149). 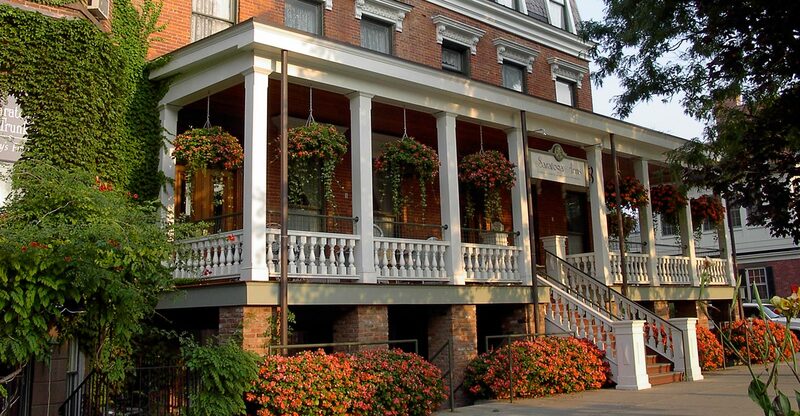 It’s time to plan your next Saratoga Springs adventure! 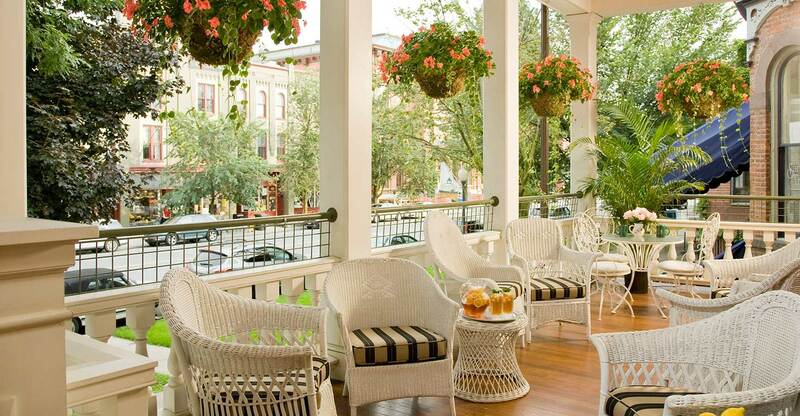 Find your favorite room at our downtown boutique hotel and book our in season Pick Your Path Package today!